Winner of the `Best Liquid Foundation` category in the 2014 edition of The Ultimate Natural Beauty Bible! Living Nature Foundation - Pure Honey is a lightweight mineral foundation that will leave your skin feeling soft, fresh and flawless. 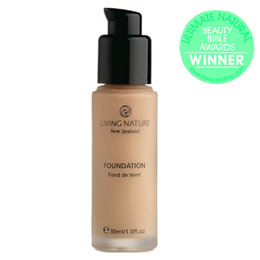 Living Nature Foundation - Pure Honey is a medium shade with yellow base tones. Natural oils and vitamins nourish while Manuka Oil protects, and pure minerals provide flawless coverage. Living Nature products harness the incredible bioactive power of New Zealand’s native plants with their nourishing, purifying and healing skin benefits. Living Nature provides highly effective skincare designed to enhance your skin’s own natural function. Aqua (water), Titanium dioxide (CI 77891), Sodium PCA, Jojoba esters, Glycerin (vegetable glycerin), Simmondsia chinensis (jojoba) seed oil**, Macadamia ternifolia seed oil (macadamia oil), Mica (Cl 77019), Zinc oxide (CI 77947), Cetearyl wheatstraw glycosides (&) cetearyl alcohol (wheat straw extract), Persea gratissima oil (avocado oil), Iron oxides (Cl 77491, Cl 77492, Cl 77499), Talc (CI 77718), Citrus grandis seed extract (grapefruit seed extract), Stearic acid, Cetyl alcohol, Sclerotium gum, Tocopherol (vitamin E), Leptospermum scoparium oil (manuka oil), Melaleuca alternifolia oil (tea tree oil). **Certified organic. 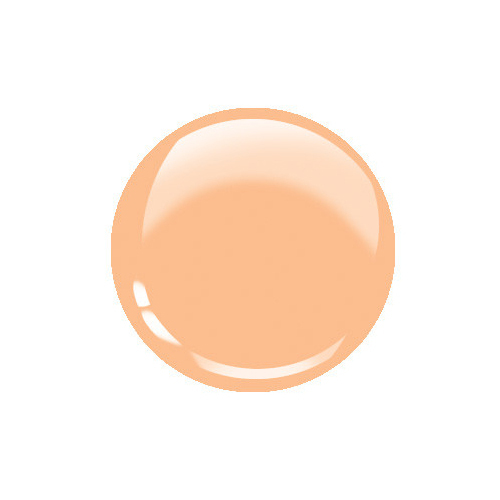 Apply with fingertips and blend onto both sides of the face from the nose outwards. Use light sweeping movements and take special care to blend past the jawline. Below are reviews of Living Nature Foundation - Pure Honey - 30ml - Best before date is 30th June 2019 by bodykind customers. If you have tried this product we'd love to hear what you think so please leave a review.